Low-cost airline Ryanair said Monday it has formally recognised representation by a union of its cabin crew in Britain. Just a week after recognising cabin crew unions in Italy, Ryanair said in a statement that it had "signed its second cabin crew union recognition agreement with Unite the Union, who will now be the representative body for Ryanair directly employed cabin crew in the UK." Already on June 6, it agreed that the unions, ANPAC and ANPAV, could represent its cabin staff in Italy. 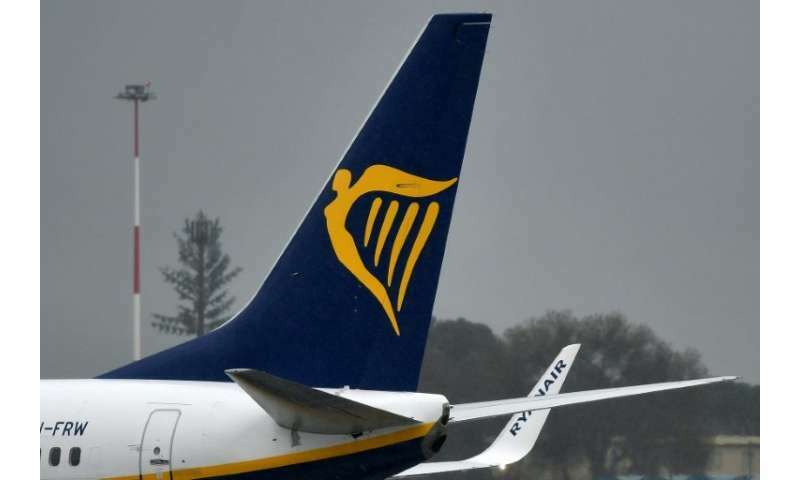 "This cabin crew recognition agreement follows extensive negotiations with Unite the Union and covers the UK market, which accounts for approximately 25 percent of Ryanair's fleet," the statement said. With Ryanair being forced to cancel 20,000 flights between last September and March because of pilot shortages and amid long-standing grievances over pay, the airline has finally begun a process of recognising union representation of its staff. Ryanair recognised union representation for its pilots in both Britain and Italy earlier this year. Human resources chief Eddie Wilson said that the latest cabin crew agreement "is a further sign of the progress Ryanair is making with trade unions since our December 2017 decision to recognise them. "We hope to announce further agreements over the coming weeks, in those countries where unions have approached these negotiations in a practical and positive manner." However, the two sides were making "less progress in some smaller countries where minor issues —such as days off for union officials—are unnecessarily delaying agreements."